According to the International Educational System, it is compulsory for every student to study throughout the year and appear in the annual examination at the end of the session. No student can be promoted to next class without passing the exams. It is seen that a majority of students become terrified at the time of exams. And this is where a student needs help. If we take a look at the statistics of Pakistan, more than 60% students suffer from exam phobia at the time of annual examination. Exams and fear have an integral connection. Fear of Exams has been accepted as a reality which has limited the educational activities of outstanding students. Here I'm not going to talk about this fear in detail because somehow, somewhere, all of us have experienced it. Instead, I'll be sharing different methods and solutions to end it up. 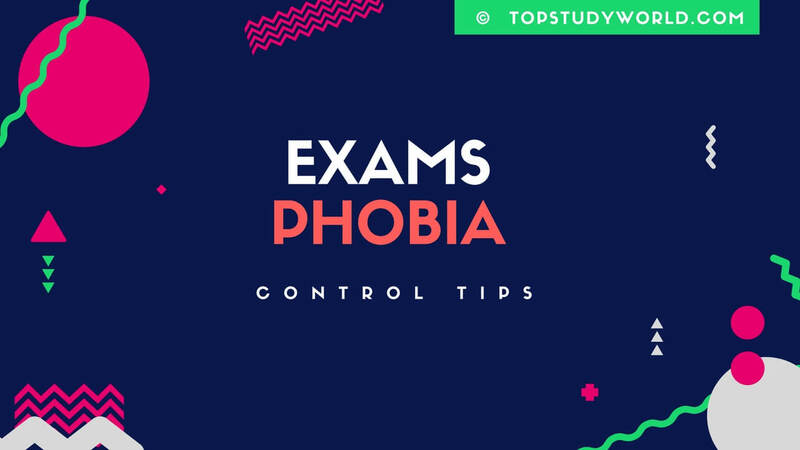 But before that, let's take a look at the other symptoms of exam phobia as well. 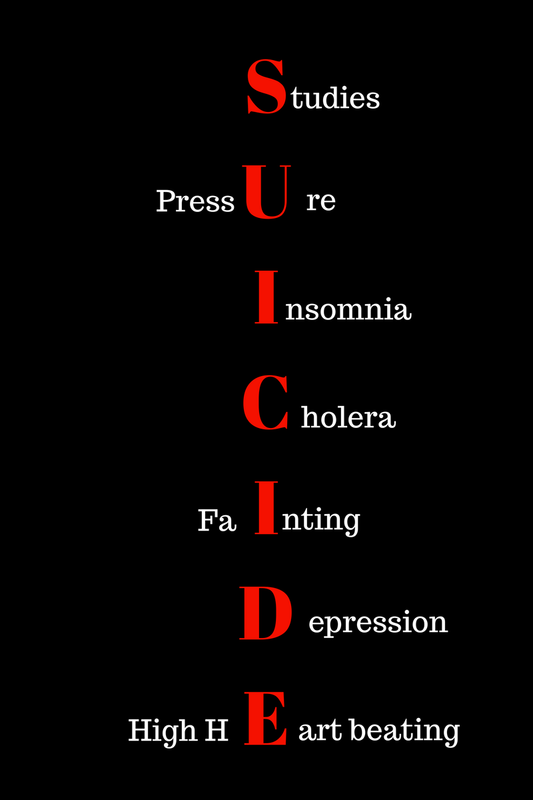 High depression level can also lead to suicide in many cases. All of these have a bad impact on the result of students. Now there is a very important question. WHAT ARE THE REASONS BEHIND THESE SYMPTOMS? are the reasons behind these symptoms. Students aren't actually terrified of exams, but the fear of failure scares them. They consider failure as a nightmare. A very easy solution to all our exam problems is managing the syllabus throughout the year. And it only depends on us that how we complete it in time. So here I'm going to share my hacks which helped me a lot during my stressful exam seasons. They are not complicated but very basic. And there are two advantages of this strategy. As a responsible student, it should be our first priority to set up a successful timetable according to our study level. Now it includes different situation. At the start of an academic session, we all have seen that there is less burden of studies. Teachers don't push their students and keep things to a very simple level in the start. Plus students don't take these starting months very seriously which cost them in the end. Don't ever try to take first few months very easy because this is what which will cost you in the finals. So we must arrange a simple timetable according to our situation which may help us clear our concept on daily basis. As the time passes and academic session progresses, the burden of studies takes place. I think that this time period is the most exhausting one. Because most of the extracurricular activities are arranged in it. And students lose their focus. So one should be prepared to coop up with such situations by daily and weekly study management. First of all, set your timetable according to the situation. Try to cover all the science topics on the same day, as the concept is still fresh in one's mind and leave the rest on next day morning. Try to wake up at 4 or 5 AM on the next day and cover all other subjects LIKE English, Urdu, Islamiyat Or Pak Studies. This will eventually help you to cover things on daily basis. An average student starts forgetting lessons in 3 to 4 days so it is very necessary to convert short-term memory into long-term. And this can be done only by revision. So one must revise lessons on weekends. If you want to take this to another level, start making quick notes on a weekly basis so you could revise them at the end of the month. This way you will have very small, intellectual and light notes to help you through your exams. 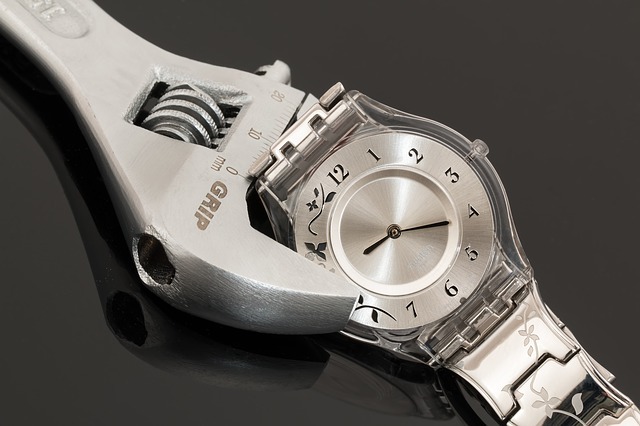 Secondly, give proper time to studies during extracurricular activities. Last two to three months are very important in the life of a student. Teachers try to finish their courses and on the other hand test session begins. Absorbing new things and revising old topics for tests is kinda difficult for a student. So at this stage, the techniques of mid-year help a lot i.e Daily and Weekly Study Management. Once you start following these techniques, you will feel very positive and successful - A burden free you (I can bet it). Conclusion: Memorize things on daily basis and revise on weekends. In Pakistan, not eating breakfast (Especially on exam days) is a trend which we must end. 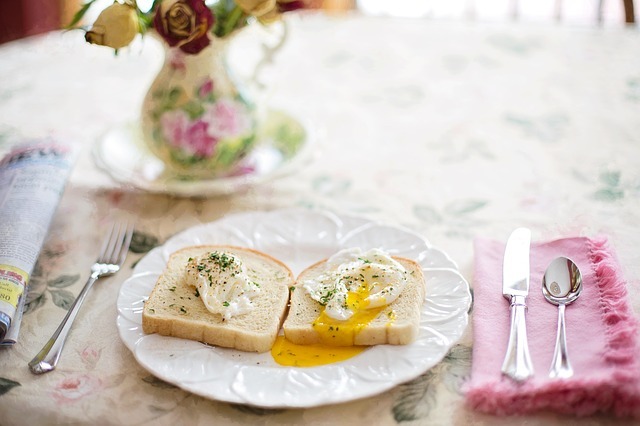 Breakfast is very necessary as it gets us ready for the day and helps us to end mental stress. You won't believe it but trust me, it makes a difference. Don't trust me? Okay, try it yourself. Conclusion: Fill up your sugar level with the help of breakfast. Parents are the blessing of ALLAH ALMIGHTY. And it is very okay if they interfere in our educational matters because it is them who know what is best for us. They scold us for a reason i.e they want us to be successful. So try to take their worried behavior positive instead of taking the stress. If they want an excellent result from your side then try your 100% not to disappoint them. And if you are unable to do that, don't worry. Tell them what your problem is. Tell them that where are you facing difficulty and try again. As a parent, they will understand your situation. Conclusion: Don't be stressful because of your parents. "Atychiphobia" is the term used for "Fear of Failure" which allows the fear to stop us doing the things that can move us forward to achieve our goals. As a result, we fail to give our 100%. But what if we take it in a positive manner? Failure encourages us to move forward if we have a hunger for victory. So It is very important for us to accept our defeat and not only accept our defeat but also learn a lesson from our defeat. Otherwise, things may remain the same. Watch This Video as it helped me a lot in difficult times. I would recommend this to you so that you never lose hope and remain fearless all the time. Conclusion: It's you who can control the fear of failure and eventually the exam phobia. In Pakistan, there is a tough competition among students. And an example to that is the recent result of SSC and HSSC. So in this era, positive thinking is mandatory. If we want things to go our way we must stop thinking negative. 6 Hour Sleep on the night before the exam is mandatory. Take your "Chill Pill" instead of chocolate before entering the examination hall. Wandering what "Chill Pill" is? Well. Imagine a pill in your fingers. Open your mouth. Put it in. Close your mouth. And Breath. That's it. It will relax you. Try to act like a usual student and don't panic yourself because of the unfamiliar surroundings. "Everything is going perfectly" is your phrase during examination. If you have any problem, feel free to share it in the comment section. May ALLAH SWT bless you all! Are you a Pakistani student and you're suffering from SSC, HSSC or BS exam phobia? Here are the tips you can follow to overcome the fear.